Who are your heroes – the everyday folk or world-famous icons – that you admire most? What is it about these people that you especially respect? Do they have anything in common? You don’t have to admire every single thing about your heroes – it might be just one or two qualities. The qualities we admire in others can give us useful clues about strengths we’d like to cultivate in ourselves. I first did this exercise a few years ago after reading the book Do More Great Work. My heroes included Steve Jobs and Sue Elvis (the unschooling mum behind the blog Stories of An Unschooling Family). What all my heroes had in common was that they were each, in their own ways, out there making a difference in the world. They didn’t wait until they had a perfect product before they put themselves out there. They knew that, if they waited, their ideas might never see the light of day. Sue Elvis – now a friend, I’m happy to say – continues to inspire me in the way she’s never afraid to publicly try new things. When I woke up yesterday morning to a new video Sue had made I thought, ‘Why not make a video of my own?’ So here it is – my first Navigating By Joy video! I recorded my video at the end of a lovely day with Cordie and Jasper. I didn’t do anything special to prepare. The little bit of make-up I’d put on in the morning had disappeared with the tears of laughter I’d cried during the day. But . . . ‘Don’t wait for things to be perfect…’! 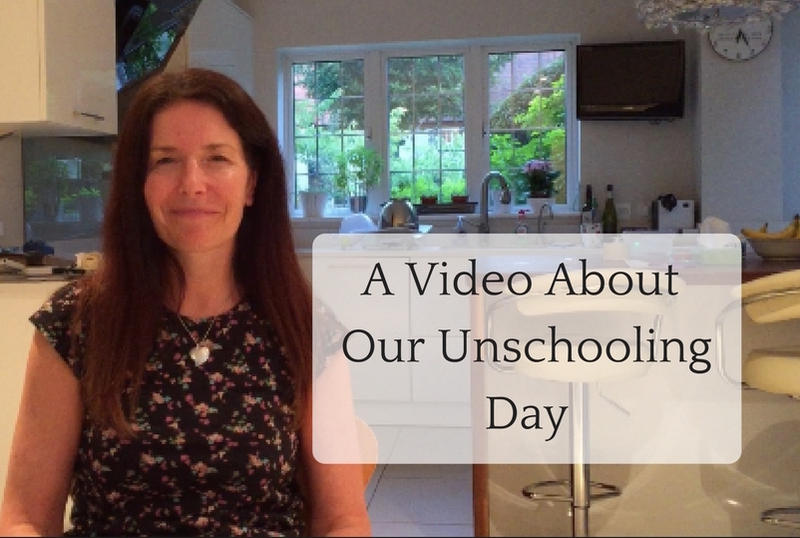 In the video I talk about our day and the different ways my children learn. Cordie showed me how to trim the ends of the film, but other than that it’s unedited. Perhaps I could make a short video every now and then, sharing what we’re doing. I could record the audio separately as a podcast for people who prefer to listen as they get on with other things. What do you think? Study Ladder UK educational website for children up to year 7 (grade 6). Access a limited number of activities for free, or payfor unlimited access. Florence Nightingale Museum in London. If you can’t visit in person, you can still learn how this extraordinary woman’s ideas transformed modern healthcare by visiting the museum’s website. So lovely to see you in video, Lucinda! Thank you for sharing about your day. I absolutely LOVE reading/viewing day-in-the-life homeschool write ups. I find it fascinating and inspiring to see how other people manage their days and how their days unfold. There are so many different ways to homeschool and I fluctuate between extreme confidence and knee-buckling doubt regarding the way we do things. Please keep sharing about your days. I’d love to hear more about how the choices are made and how the children transition from one thing to the next. Do the children have any ‘must dos’ each day/week? Are there any ‘must not dos’? Do you need to address anything in particular for your legal requirements where you live? Unschooling has plenty of different flavours, I’m sure. I’d love to hear more about your flavour. Thank you too for all the ideas about what to talk about! I love hearing about other people’s days, too – I know what you mean. I’ve picked up so many resources and ideas that way (and from my conversations with you!). PS. 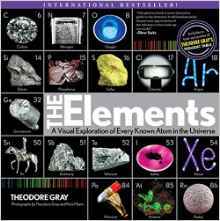 My 10yr old LOVES that Theodore Gray book. It has got so, so, so much use here. Have you got the app that goes with it? Do you have the follow-up book about molecules? It’s on my wishlist. I shall update the resources list now to reference the app. How wonderful to see you not only back on your blog, but also in person in your video! You did such a great job. I enjoyed hearing about your day very much. I hope you will make many more videos. We shall have to encourage each other to keep vlogging! I missed the beginning of your post entirely. How could I have done that? I raced right down the page eager to watch your video and see you in person and forgot to return and read your post. Later, I remembered the word ‘heroes’ and began to wonder how that fitted in with your video, so I had to return and find out. Oh my, I didn’t expect to find my name in your post. Thank you so much for your very kind and generous words. I love how we can share ideas and encourage each other and deepen our friendships along the way. I don’t know what I’d do without my friends. Without you, I would have given up long ago. I remember meeting you on one of my blog posts, one of the maths ones. We chatted and connected and look where it has led us! We’re both writing and vlogging and we shall podcast together, I’m sure. Lucinda, you are an inspiration to me too. Let’s keep on being brave, trying new things, learning and having fun together. Sue, It sounds like you read posts in a similar way to me. (A good reminder of why sub-headings can be useful, perhaps!) Thank you for commenting again. I’d been a bit worried that my effusiveness had embarrassed you! I once spoke to another blogger who became very uncomfortable when other bloggers publicly complimented her. I think there was some (American/English) culture clash going on in that case, though. I don’t think there’s too much culture difference between you and I. One of the reasons I remember doing that heroes exercise so clearly is because I did it on while exercising on the cross-trainer on a cruise ship! It might have been a little while after you wrote about how to use upper case / lower case in blog post titles. I remember feeling a connection with someone else who wondered about the finer points of punctuation, too. It was lovely hearing your voice after reading so many of your posts! 🙂 and you were so relaxed. I did have trouble hearing you even with my volume up high. Thumbs up to the flow of your day and letting learning occur as part of your life! We are doing cooking lessons (me teaching N and G at home) and I taught them how to make homemade bread today. It was neat to watch as reading, writing, problem solving, US President research all unfolded in between steps of bread making. Then we used N’s bread for BLTs for dinner to go with the corn on the cob we picked up at the neighbor’s farm on our way home from the library! Of course you need an apron for cooking lessons …so we had sewing lessons first and made aprons. The US-schooling life makes me smile! Angie, Thank you so much for watching my video and for taking the time to comment. I did wonder about the volume, so that’s very useful feedback. Cordie says I can increase the sound when I’m editing, so I’ll be sure to do that next time. I love the sound of your us-schooling day. (And it has my mouth watering, although corn on the cob is sadly off the menu here for a while as Cordie just got braces.) I can just imagine your day unfolding with lots of smiles and learning! Thank you! Loved watching this and hearing about your homeschooling day. You’ve inspired me over the years and this year, with my youngest two boys (7 & 9) we’ve made elephant toothpaste (based off your instructions) and we’re reading much more than we have in the past. 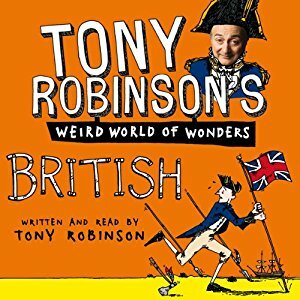 Because we’re doing Medieval History, we’re reading through Story of the World, Vol. 2; Mystery of History, Vol. 2; An Island Story by H.E. Marshall; Famous Men of the Middle Ages; and other things as well. We’re also reading The Hobbit, and we’re having a marvelous school year, so far. I’m a writer, an avid reader, and an artist, but sometimes it’s actually more difficult to do these things with my children. Perhaps because I have six children, I guard my down time and all of these things I use when I “retreat.” I’ve found it’s far more satisfying to share these experiences with my children and I love doing school with them now. Well, math still isn’t my favorite, but we look forward to history and read aloud time. I’m looking forward to more videos! Have a wonderful day! It’s always lovely to hear from you. Thank you for watching my first video. It’s nice to know I’m not talking to myself! I’m so glad to hear you’re enjoying doing school with your children so much at the moment. Read aloud time is my favourite part of the day, too. It sounds like you’re reading some wonderful books together. We haven’t read from Our Island Story for a while – I might pick it up again now that we’re many centuries further on. I can imagine how important it is to make sure you have enough downtime when you have a large family. No matter how much we love our children and enjoy spending time with them, we can’t be good mums if our needs aren’t being met. I know how important my mini-retreats are, and I only have 2 children! Thank you again for your encouragement, Marla. I appreciate it very much. 🙂 Have a great day, too! I just invited a bunch of people to like your Facebook page, Lucinda. 🙂 Better start using and promoting it! Happy to do it. I love your blog! Thanks for sharing your day with us via video. As a more traditional styled / type A homeschooler, I’ve always wondered how others successfully unschool. Thanks for showing another perspective of the homeschool movement in your home. How learning is a spontaneous thing whether directed or not. I am in awe – such a brave step to take! Kudos to you for stepping out and doing something new. You mentioned a podcast as a possibility – I would love to see that happen as I can squeeze podcasts into my day where a video won’t fit. Thank you for sharing! Thanks so much for taking the time to watch, and for your encouragment, Mary. I’ve been wanting to try podcasting for a while and did a presenting course recently so I decided it was now or never to put myself out there! I know what you mean about finding time to watch v listen to podcasts. (I really don’t get how much my kids like videos.) Apparently recording a podcast is less time-consuming than making a video, too. I’m definitely going to give it a go soon. Thank you so much for your video. You are such an inspiration for me.